St. Ann Parish Church is quite a formidable structure and sits like a stately queen on her throne. 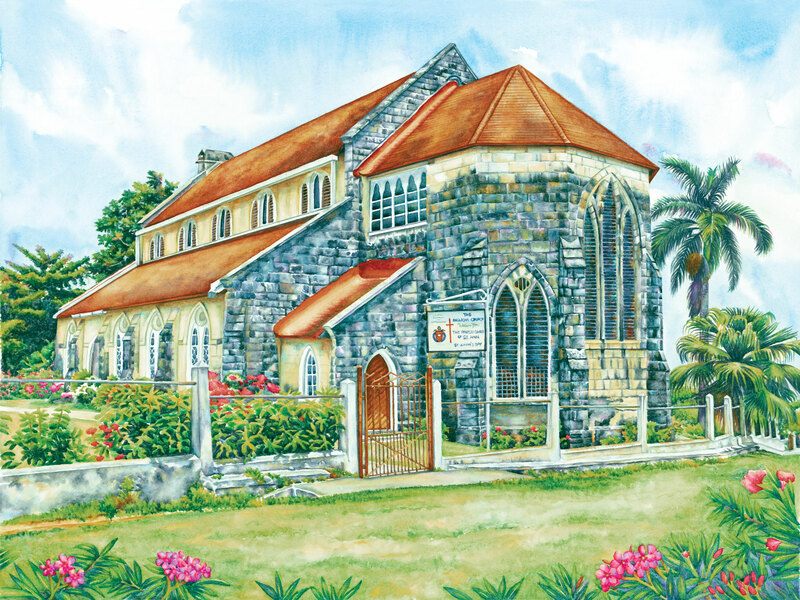 I was so happy to make her acquaintance as she was situated in the “garden parish” of St. Ann in St. Ann’s Bay, Jamaica which was very close to my house at the time, and was inspired to capture her regal and solid nature through painting. This is a limited edition of 50 giclée prints on watercolor paper. The original painting has not been sold.